Will Kopelman, born on the 7th July 1978, is an American art consultant and former actor, also famously known as the former husband of Hollywood star Drew Barrymore. So how much is Kopelman’s net worth? As of mid 2016, it is reported to be $5 million, gained mostly from his profession as an art consultant and brief career in acting. Born in New York City, Kopelman came from a very wealthy family being the son of Arie Kopelman, former Chief Executive Officer of the famous fashion house, Chanel; coincidentally his mother’s name is Coco, and his sister is Jill Kargman, author and fashion enthusiast. He later graduated from Boston University, but then tried acting upon graduation. In 2000, Kopelman played the role of Andy in the movie “Intern”, a fashion-themed satire movie with his sister Jill as one of its writers. He also appeared in “Friendly Fire”, a compilation of music videos written and directed by Sean Lennon and Michele Civetta. The project was meant to accompany Lennon’s album with the same name. Though Kopelman did not pursue acting as a full time career, his short stint in Hollywood definitely helped him with his net worth. After his short-lived acting career, Kopelman became a full-time art consultant. Kopelman curates art shows and assists people to find art pieces for their own show, gallery or personal home decor. Kopelman has worked with various personalities including actress Zooey Deschanel, and Lake Bell for the exhibit of their art pieces. He also helped actor Robert Pattinson find unique art pieces from up-and-coming artists for his home in Los Angeles. Kopelman’s big time clients in art consulting and being a curator have become the main source of his wealth. 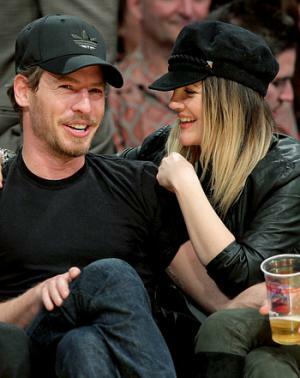 In 2011, Kopelman became an instant celebrity when he was spotted dating Hollywood actress Drew Barrymore. The two were great friends until they decided to date and later got engaged in early 2012. His high profile relationship with Barrymore resulted in several media engagements. From magazine features to interviews on various talk shows, it became a source of income for the art consultant as well. Their wedding in June of 2012 was covered and featured in People Magazine, which definitely came with a price. In terms of Kopelman’s personal life, after four years of being married to actress Drew Barrymore, the two filed for divorce early in 2016, with reports saying that it was due to ‘difficulties’. He and Barrymore are parents to Olive and Frankie. Kopelman was also known to date other well-known celebrities including Lara Flynn Boyle and Sarah Roemer. 1 (April 22, 2014) Second daughter with his wife Drew Barrymore, Frankie Barrymore Kopelman to be born. 2 Daughter, Olive Barrymore Kopelman, was born on September 26, 2012. 3 Brother-in-law of Jessica, Blythe Dolores and John Blyth Barrymore. 4 Third husband of Drew Barrymore. 5 Son-in-law of Jaid Barrymore. 6 Graduate of Boston University. 7 Raised in New York City. 9 Brother of Jill Kargman. 10 Son of former Chanel CEO Arie Kopelman.